Well, to enter the sim itself was the real huge challenge. After four hours of trying to enter this sim, it was finally done. Me was allowed to „gamble“ and I even had some luck and collected a bunch of rare things. … and then I had the luck that these items could be combined into a cool skater-outfit. 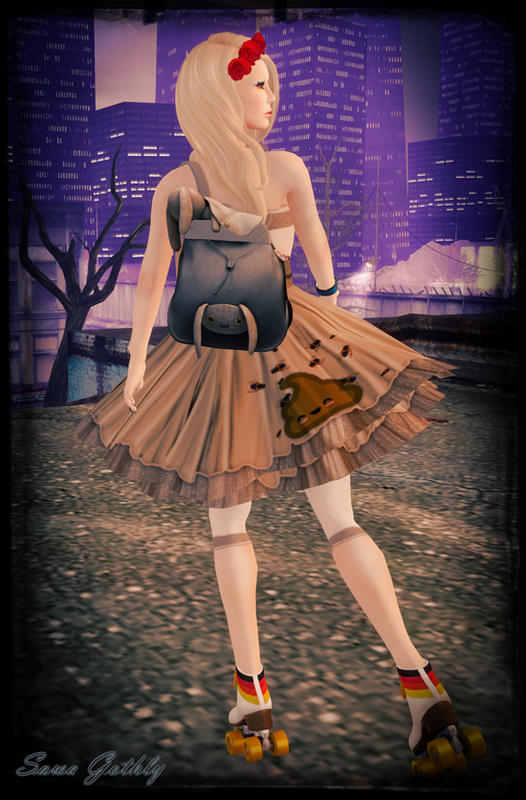 Dieser Beitrag wurde unter bloggies from Sawa, Events, I Heart SL, Mesh, NEW, Sawa's Style, The Arcade abgelegt und mit Fanatik, Focus Poses, Glam Affair, LeeZu, Maxi Gossamer, NO Nail Art, Tableau Vivant, The Sea Hole, The Secret Store, Truth verschlagwortet. Setze ein Lesezeichen auf den Permalink.